Ideal time to ring you? Now 02:30pm - 03:30pm 03:30pm - 04:30pm 04:30pm - 05:30pm 05:30pm - 06:30pm Tomorrow Morning Tomorrow Evening When would you like us to call? Home Articles What Are Table Runners And How Should I Use Them? This field is required. Postcode is invalid. What Are Table Runners And How Should I Use Them? Did you know that tablecloths were originally put on tables so that people could wipe their hands and faces on them during and after their meal? Imagine the look you would receive if you did that today! Thankfully, the humble napkin came along to put a stop to this practice. However, there were still some people who spilled their food and drinks on the tablecloth, and so the tablerunner was devised to help protect the tablecloth and stop it from needing to be laundered so many times. At the end of the meal, the table runners could simply be gathered up leaving a clean and pristine tablecloth behind. If you are looking for a little inspiration on how to use our table runners for the best effect, we’ve come up with some ideas. You can choose to lay them straight down the table, or get a little creative, and when you have so many wonderful colours in our range to choose from, you can really let your creative side out. 1. You don’t have to use a tablecloth with a table runner. If you have a beautiful wooden table that you would like to show off, consider using the table runner on its own. Reds, whites and greens look especially dramatic next to wood. 2. Table runners can be used during both formal and informal events to bring an element of colour and interest to your table. 3. When you have a special holiday celebration to decorate your tables for, choose a colour that matches the occasion. For example, red and green are perfect for Christmas, while pastels are perfect for Easter and Spring celebrations. 4. You can choose to have your table runner hanging over the side of your table, or to choose a runner that is slightly shorter. 5. Traditionally, if you are using a table runner with a tablecloth, the runner should not drop past the ends of the tablecloth. The tablecloth should always be longer. 6. You can also use your table runner so that it runs across the table rather than lengthways. Usually you will see a long table runner running down the centre of the table with runners running in a crisscross design across the table. 7. Table runners aren’t just for dining tables! Use them to great effect on coffee tables, sideboards, buffet tables and wherever you wish. 8. You can even use table runners on round tables by laying your table runners in a X pattern across the table. 9. You can also use table runners to highlight the centrepiece on the table. Choose a table runner or fold it so that it is a third of the length of your table. Then put it in the centre of your table. When you put the centrepiece in the middle of the runner, the runner adds texture and interest. 10. And of course, you can use your table runner in the traditional manner - to avoid spills and splashes on your main tablecloth underneath. Here at Linen Rental, we offer a huge range of table runners, tablecloths, napkins and more. When you're looking for pristine, crisp and beautiful linens to set your table with, we not only provide the best, but we deliver to your door. Take a look at our range today. Linen Rental Ltd is based in Central London & Dartford and hires a comprehensive range of tablecloths, chair covers, napkins and table runners to customers across London and the South East. We believe that our combination of great customer service, transparent pricing, and large stocks make us ideally placed to become the leading linen rental supplier in the South East. 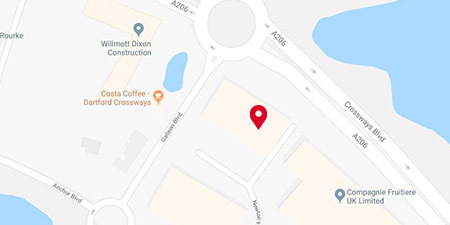 Our team is available from 8am until 7pm, Monday - Saturday. If you have an emergency outside of these hours, please leave us a message and we will do our best to get back to you quickly. All rights reserved. 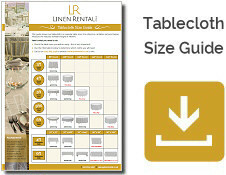 Linen Rental Ltd is a company registered in England & Wales. Company number 10058034. Necessary for quoting and checkout processes to function. Enables us to optimise our website based on historical visitor trends. Allows live interaction with a sales agent. Allows embedded video content to display.